Real estate in Sarasota County showed mixed results for 2017. 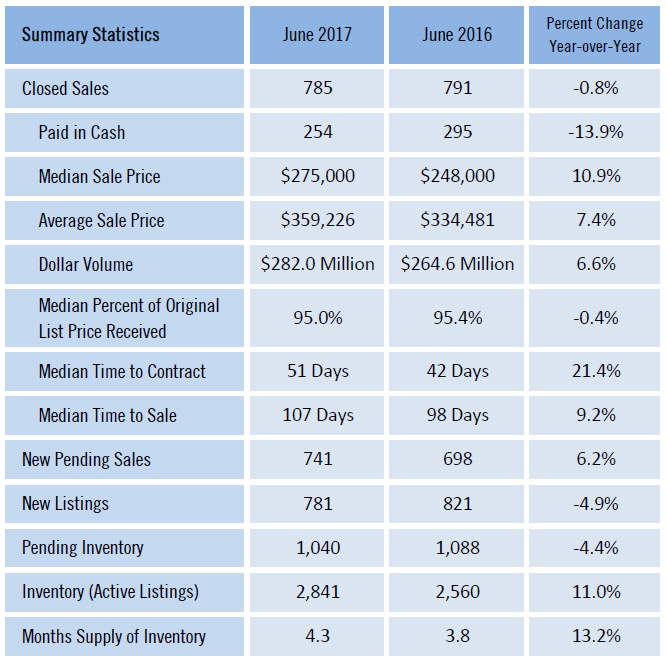 While dollar volume was up over June last year, the number of sales was flat, and time on market increased. 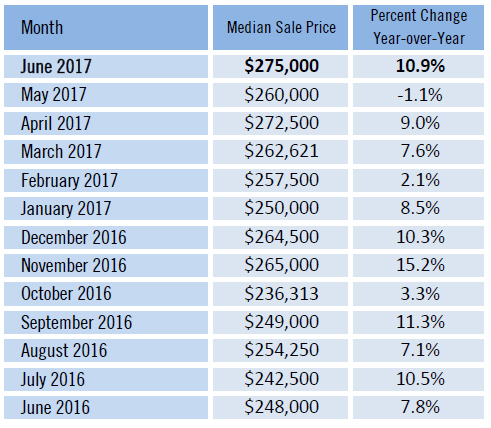 Median sales price in Sarasota County continues to climb. 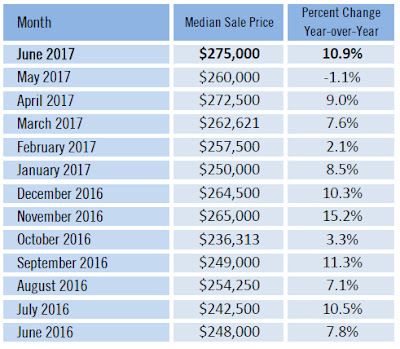 This statistic is affected by both an increase in the sales price of resale homes, and increasing sales prices of new construction. 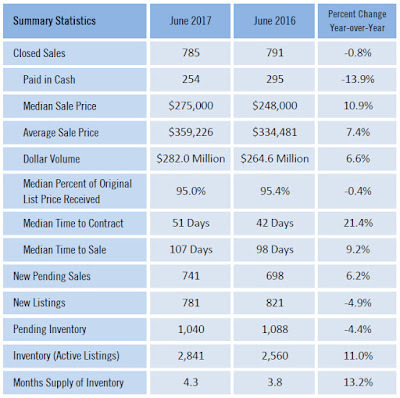 Increasing prices are a function of demand and still relatively low inventory. 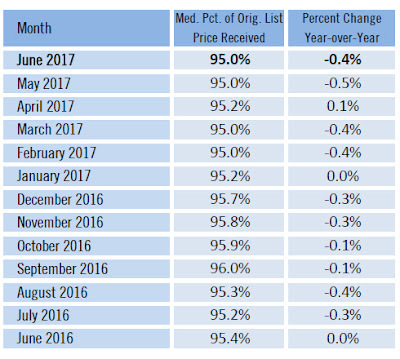 A common question among Sarasota County home buyers is how negotiable are list prices? 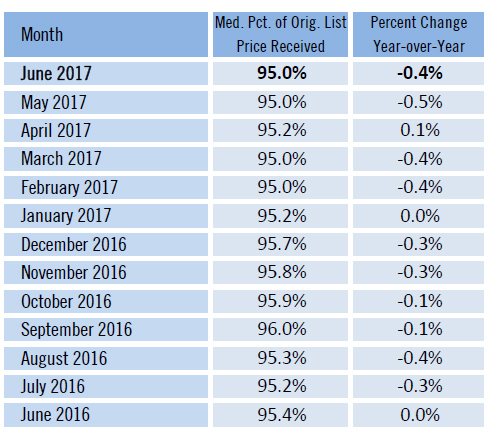 While every situation is unique, the average list price to eventual sales price ratio has remained consistent over the past year. Important: list price to sales price is based on the current list price of the property at the time of contract, not the original list price. 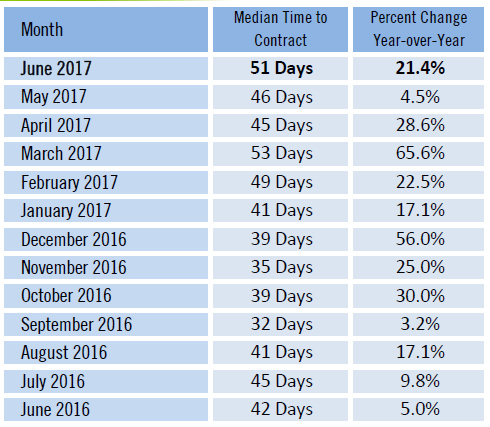 Time to contract is an indicator of the mindset of home sellers. 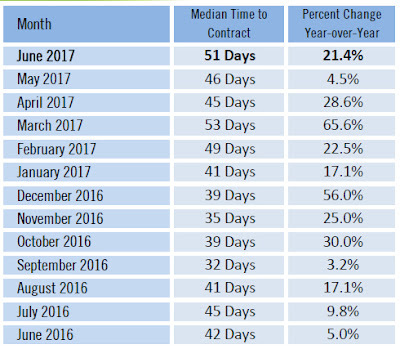 The time from initial listing of the property for sale to the date a contract is executed increased over June 2017. In my opinion, this is a function of sellers believing they are in a "seller's market", and list their property at inflated prices due to low inventory and perceived high buyer demand. Home buyers are becoming more informed and are taking their time to research not only Sarasota but other markets as they make their decision on where to purchase their retirement or seasonal/vacation property. If you are interested in selling or buying property in Sarasota County, please contact me for expert market analysis on pricing and marketing.